Please select a size. EU 39 - Low Stockview larger sizes Please select a size. 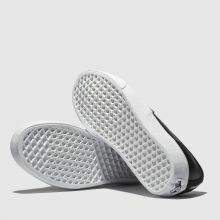 Lending a slick sports-luxe look to your skate shoes this season, Vans deliver their minimal Authentic Webbing sneaker. 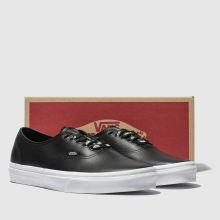 Crafted with a premium black leather upper, the iconic profile is complete with repeat branded lacing for an on-trend finish.